Gordon inspired many people to revitalise their creativity whilst working with corporations. He spent 30 years working for the Hallmark Card Company, managing to ‘orbit’ successfully around the ‘hairball’ of organisational bureaucracy without getting strangled. Here is the YouTube description of this video. 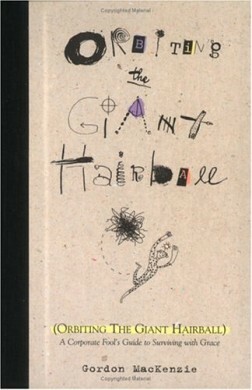 IDEO’s General Manager Tom Kelley relays a tale about artist and author Gordon MacKenzie. 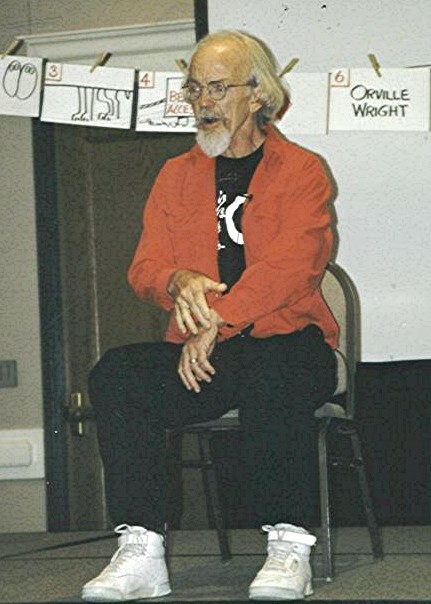 In his book, “Orbiting the Giant Hairball”, MacKenzie asks school children from kindergarten through sixth grade if they consider themselves to be artists. While the enthusiasm for creative free expression seems to run freely for the youngest children, the author notes some attrition from the idea starting with the second graders, and full-blown shame for artistic expression by the time he speaks to the sixth grade. The take-away from this exercise, says Kelley, is that we are all born with a high level of innovation, but it is the cultural norm to have these aspirations and pleasures flattened at a surprisingly young age. Kelley assures his audience that it is, indeed, OK to be an artist. Gordon created his masterpiece and encouraged many other people to be artists.